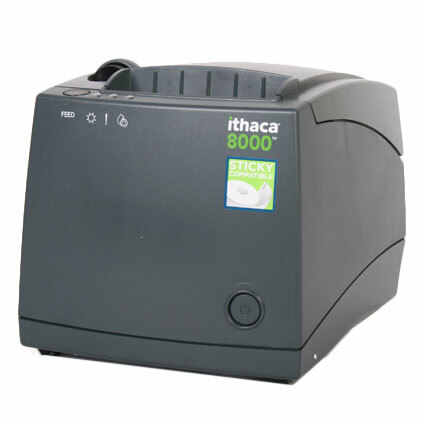 The Ithaca 8000 receipt printer is ideal for take out or fast food service providers wanting to maintain order accuracy during busy times. The 8000 supports both standard receipt printing as well as adhesive receipts, excellent for sticking to individual items or complete orders. 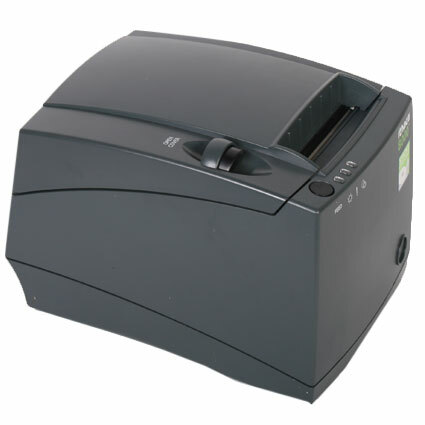 At up to 6" per second, the 8000 is fast enough to keep lines moving smoothly, and the 203 dpi printhead ensures receipts are easy to read at first glance. Ithaca designed the 8000 for maximum uptime and longevity, mounting the main board vertically to prevent water spills from settling on circuitry. The direct thermal printhead is rated for up to 62 miles of receipts printed, making the Ithaca 8000 receipt printer a restaurant´s best choice. The Ithaca 8040 has been discontinued. Please call for a suitable replacement.